Operation Mekong waits until the final credits roll to inform its audience that the film they’ve just witnessed is based on a true story. I can’t help but feel that this may have been by design as it certainly would have lessened my enjoyment to think that the filmmakers meant for me to believe even for an instant that what I was watching was true. More than anything else, Mekong is an action movie, but does the element of realism hurt it or help it? 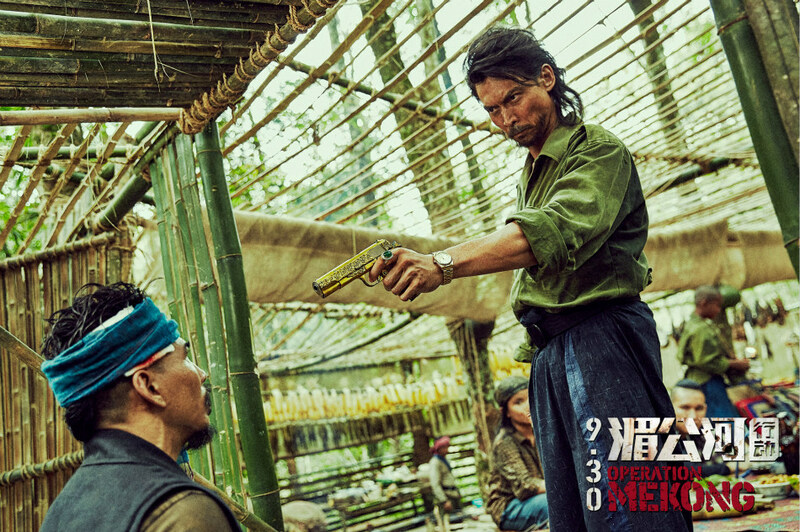 For a movie that largely focuses on the actions of elite operatives, Operation Mekong gets off to a slow start with its historical recap of the Mekong River, where drugs and piracy run rampant. Following the death of thirteen fishermen, the Chinese government responds by creating a special narcotics team designed to infiltrate and destroy the world of drug kingpin Naw Khar (Pawarith Monkolpisit), a man who appears to be the love child of David Tennant and Lee Van Cleef, minus several decades of proper oral hygiene. Heading up the team is lone wolf Gao Gang (Zhang Hanyu), who—as one would expect—operates outside the box. Though Gang is assisted in the field by a team of experts, you’ll find little more than their code names to differentiate between them. The one exception to the rule is Fang (Eddie Peng), considered to be a master of disguise for his endless supply of bad wigs and facial applications. It gives nothing away to say that Fang’s cover is blown roughly two-thirds of the way through the movie, and yet he continues to wear a fake moustache till the bitter end. Perhaps it’s because without it, Peng looks roughly twelve years old. For every one moment of originality in the proceedings, there are three clichés that are difficult to get past. Whether that’s to be attributed to the “true story” elements or simply a weakness on the part of the writer, it’s hard to say. While the title foreshadows where the resolution has to take place, perhaps the strongest elements occur in China while making the necessary connections behind the scenes to discover Naw Khar’s whereabouts. Director Dante Lam knows how to ratchet up the tension in a scene, even if he sometimes wields his camera like a blunt instrument. Keep an eye on the yellow sports car at the mall as he lingers on it a little too long. Hmm. Wonder if that will come into play at some point? 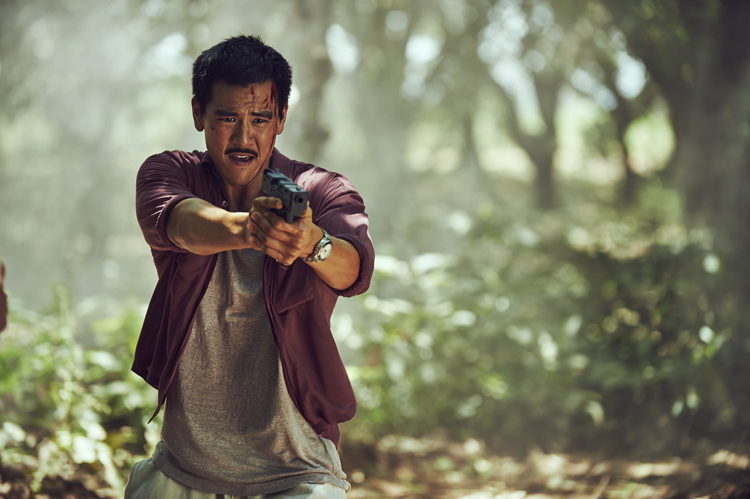 For a movie that almost certainly didn’t have a sizable budget, Operation Mekong holds it own for choreographed action, though it may not warrant a trip to the theater. My advice: Operation Mekong can wait for streaming. This entry was posted on Tuesday, October 4th, 2016 at 6:01 pm	and is filed under Film. You can follow any responses to this entry through the RSS 2.0 feed. You can skip to the end and leave a response. Pinging is currently not allowed. « French Film ‘Evolution’ Drops Creepy Trailer!! !